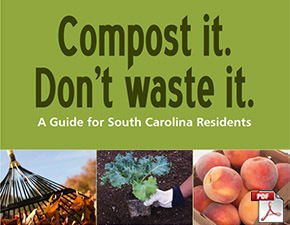 Greenville County actively promotes composting, grass cycling, and vermicomposting. See our list of resources for more information. Americans throw away 28 million tons each year of yard wastes composed of grass, leaves, and limbs, branches, and other yard clippings. Then, these same Americans spend millions of dollars on 25-50 million tons of fertilizers, soil amendments, and mulch to enhance their lawns and gardens. Too bad the average American family doesn’t realize that composting can result in 300 to 400 pounds of finished compost each year and that this compost can be used as a fertilizer, soil amendments, or mulch. Composting is the natural "circle of life." For example, when leaves fall from trees they are eaten by bacteria. This converts the organic leafy material into humus, a nutrient-rich non-compacted soil that helps new plants get started. 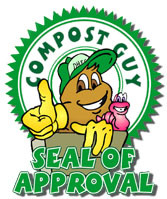 When properly maintained, the process of composting is sanitary and efficient. In addition, generating household compost is very cost effective when compared to the average household expenditure on potting soil and soil amendments as well as the household costs for the removal of garbage and yard wastes paid for through taxes. Furthermore, 70% of the average household’s waste is compost friendly matter. Many materials can be included in compost piles that are not commonly thought of as compost friendly (e.g., coffee grounds, filters, eggshells, and even shredded paper). Many gardeners enjoy the benefits of composting in their vegetable and flower gardens, while others avoid composting for fear of pests, foul odors, and the extra work. The keys to overcoming composting concerns are simple. Pests can be avoided by using a closed bin or wire fencing, avoiding meat and dairy, and burying vegetables under soil or yard clippings to avoid attracting flies and insects. Foul odors are easily avoidable by burying materials that decay rapidly (e.g., food wastes) deep in the pile, keeping the mix of brown (leaf/branch/dirt) to green (grass/food) matter at less than 50:50 (aim for 30:1 brown to green as green matter tends to decompose rapidly and may pose problems when in excessive amounts). And, odors can be avoided by aeration, and by keeping the compost sufficiently moist. 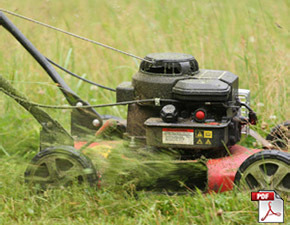 As for the work…well, if you are trying to make your own successful garden without hard work…what is the secret? Also, keep in mind that slow compost does not require as much attention as the rapid composting caused by excessive green matter. Compost can be ready for harvest in as few as 4 weeks, but can take several months depending on the temperature, components and other factors. But, there is no measure of time for the benefits of compost. Greenville County usually hosts a compost bin sale once a year. Last year the compost bin sale was held in October in the Whole Foods parking lot located on Woodruff Rd. The price was $65. Check back with us late summer for this years sale date and information. Greenville County is partnering with local company Atlas Organics in operating upstate South Carolina's first commercial food waste composting facility. Atlas Organics collects food waste from a variety of commercial facilities and is now transporting those materials to the Twin Chimneys Landfill. Once at the landfill, the food waste is mixed with mulch produced by the landfill from yard waste received from Greenville County residents. Using forced aeration technology, the mixture is windrowed for approximately 45 days during which moisture content and temperature are monitored to ensure proper organic decomposition. At the end of the windrow period, the compost is screened and sold as a soil amendment. This process exemplifies the Farm to Table to Farm cycle. is turning food waste into valuable compost.